Welcome to Education Soon To Be. My name is Kwan Tuck Soon. I am a primary school Chinese language teacher from Singapore. I’m into teaching for a relatively short period of time, 4 years to be exact. The subjects I teaches in school are Chinese language and Civic and Moral Education. My current post in school is Subject Head of ICT. As a teacher, I’m passionate about teaching using technology. My personal pedagogical reflections of daily teachings. Sharing of ideas and strategies, especially those related with Chinese language teaching and educational technology. 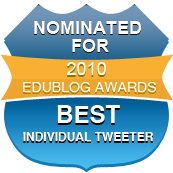 Links to great tools, websites, edublogs and education news, updates and information. Education podcasts, vodcasts, screencasts, and any Web 2.0 media. Past, present and future education trends, i.e. Education Soon. 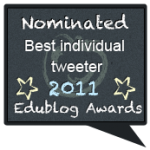 In other words, I hope it can be a useful blog to myself and fellow educators! Obviously this requires time, effort and peserverance. Wish me good luck! I really enjoy your blog posts! It seems you are very motivated by technology and education. I just wanted to reach out to you and tell you thank you for mentioning us (Symbaloo) in a tweet the other day. 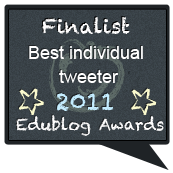 Also, I wanted to make sure that you have taken a look at our EDU version at http://symbalooEDU.com. Would love to know what you think about the content and if you have any other feedback for us. I stumbled upon your blog when I googled Creative’s PlayChinese. Then I realised that I’ve read your Friday Interview at John Larkin’s blog! I enjoyed your take on the different education issues and the use of technology in teaching. I’m passionate about teaching my children reading and especially to interest them in Chinese (an extremely uphill task). Did you manage to use the PlayChinese further with your students and was it beneficial to them? I’m considering getting it and your further review about the efficacy of the software in increasing students interest in learning Chinese will be very helpful! It’s a rather expensive product and I am not keen to have it chucked aside after the novelty wears off. 🙂 I might as well use the Zi Bao Bao software on the iPad, ha. Frankly I did very little experiment with the PlayChinese app this year. I did get a few pupils to try writing some characters. They enjoyed writing on the tablet and are more engaged in writing compared to the usual 习字. Unfortunately these pupils did not translate their learning into pen-and-paper assessment. In other words, these pupils are not able to write the characters in routine spelling tests. Nonetheless the results are inconclusive and unscientific. I might be trying it again next year. Hi Tucksoon, stumbled upon you site via Twitter moments ago-really loved your site. Btw am a Singaporean maths tutor, sincerely hoping we can network and enhance learning by link exchanging. You can reach me directly via the contact page on my website (given in my signature). Thanks and god bless. Peace. I am a frequent reader of your blog and have seen your feature on the Flipped Classroom infographic. Anyway, I recently have had a chance to be involved in the development of one. You can find it here: http://newsroom.opencolleges.edu.au/learning-analytics-infographic/.